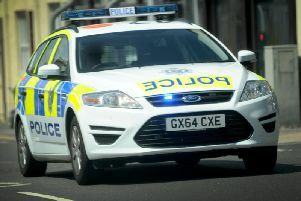 A teenage girl has been arrested in Sainsbury's in Littlehampton following multiple assaults in the town centre. On Wednesday, at around 4pm, police officers were seen entering the High Street store. A Sussex Police spokesman confirmed that a 13-year-old girl from Bognor Regis was arrested on suspicion of assaults in East Street and High Street, Littlehampton. She has since been released under investigation, pending further enquiries, police said.